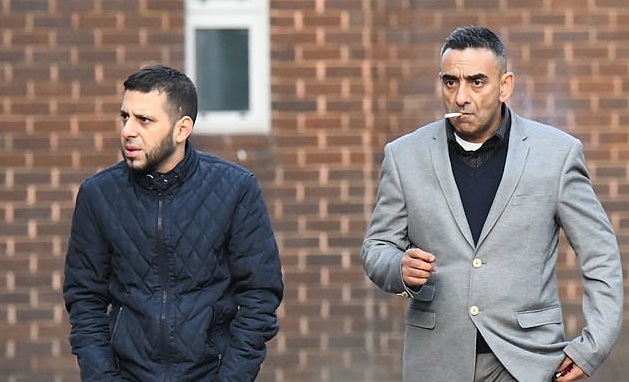 Mohammed Yousaf, 45, and Naweed Ahmed, 36, both from Luton, Bedfordshire, have been jailed for a total of ten years at Portsmouth Crown Court after they were caught by police because of an incredible series of blunders. They put their real names on ferry tickets, made a series of traceable phone calls and forgot to fill their van with fuel – which then had to be rescued by the Highways Agency. Both were convicted of six charges of conspiring to facilitate the entry of non-EU citizens into the UK. They ‘duped’ mother-of-two Wioletta Kossakowska into travelling to France with them and then driving the removals van where the six illegal immigrants were hiding in furniture. When Ms Kossakowska arrived back in the UK, border officials searched the removals van she was driving – where they discovered the immigrants hiding inside furniture. van, but as she drove away from Portsmouth – with Yousaf and Ahmed following – the van broke down because of a lack of fuel. Golimowski was charged with conspiring with the group but was murdered in Bedford in September before he could stand trial. Yousaf was jailed for six years and Ahmed was jailed for three and a half years, Judge Ashworth said: ‘Ms Kossakowska was duped with a false story by you. She was not trusted, she was watched.